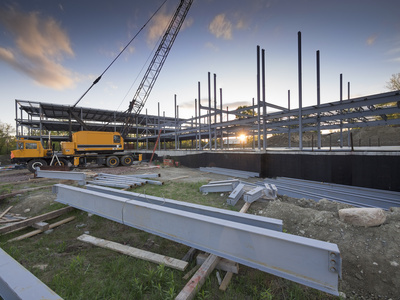 As a project leader, I often get called into the very earliest stages of company moves and purchases, especially those where new construction or renovation are involved. Over the years, I’ve found a few tips you may want to keep in mind. First, if you and your broker are negotiating on a piece of commercial real estate and you get an inadequate offer, don’t dismiss it out of hand. You almost never get the most optimal deal in the first offer. I’ve seen a few company owners steam out of the room as though the offer were an insult. Expect a low deal, then start negotiating. That’s just the way these deals work. Next, be sure to pay close attention to all the documentation and paperwork. You’ll be required to guarantee the accuracy of any document files you’re called upon to present (such as company financials). If you do not have all the appropriate files, loan providers will not likely give you the financial package you need to buy the property. File and collect all the essential files ahead of time. Be a savvy entrepreneur. When considering commercial real estate opportunities, make sure you are getting exactly what your company needs call for. Don’t “settle” for less than the optimal facility for what your company really needs. And if you find a property that falls short of your goals, with inadequate amenities, the wrong dimensions, etc., make sure you can afford to fix it so that it does meet your original requirements. If the deal doesn’t make sense, move on to the next one. Most importantly, don’t overlook the fact that your new facility is subject to local zoning ordinances. Be sure your architect takes that into consideration as he suggests upgrades, expansion or other changes to the original facility. Check every aspect of the property so you understand you are getting exactly what you had in mind. Don’t rush into a purchase you may one day regret. Get your staff and trusted allies involved. Ask their opinions. Put an actual value upon the new facility in terms not only of its real estate value, but its value to your company. Will you be more productive? If so, what’s that worth? Does that make the size or price of the new facility more palatable…or less so? Fresh and independent point of views can give you a clear view of the amount of others think the new facility is worth. You might discover that you are paying too much, or that your real estate representative is over-estimating the value of the property or under-estimating the cost of converting it to your needs. Choose that property carefully. Don’t get emotional about it. Ask trusted advisors for feedback. Do all of that and your chances for a successful project are higher right from the start.